Remember this from my Autumn Wish List? Well! 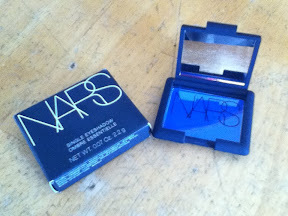 I took a little trip to Sephora and now the Nars "Outremer" single eyeshadow is mine! Above is Outremer with a light application. It's blue but subtle enough that I wore it to work and didn't get any crazy looks. But lots of compliments! And when I came home from work, I did some experimenting with heavier applications. 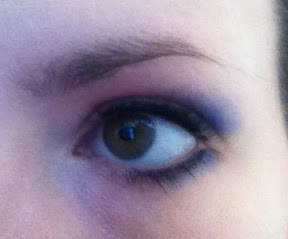 As you can see, the blue can be very vibrant. I wouldn't wear it this bright every day, but I plan on wearing it out over the weekend when I'm looking for a more dramatic look. I think the quality is good for the hefty price, and since it isn't something I'll wear everyday it'll last. Which I suppose is also something to consider, hahaha. I'm forever on a quest for the perfect eyeliner. I think I've tried every kind in existence! Many kinds have come close, but never exactly perfect. 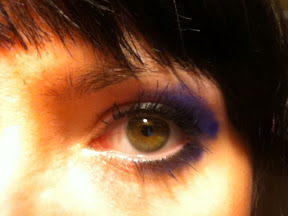 I had been using a mixture of Bad Gal Lash (Benefit) and MAC Zoom Black. 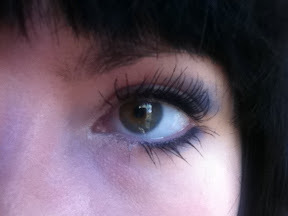 So when I saw this offering of "false lashes" from Benefit, I figured why not? So my lashes without mascara. They're long, but light at the tips. With the "They're Real!" mascara. The mascara is a nice, rich black and fully coats with ease. The brush has a funny little spiky end that you can use to separate your lashes. 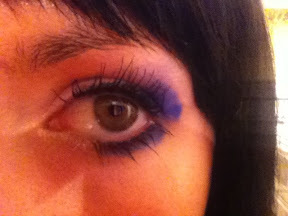 It also curled my lashes up a bit which was nice. 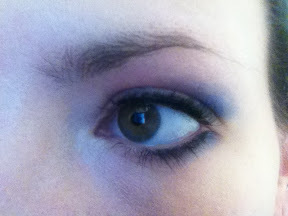 I don't think it's really given me a "false lash" look, but it wears well and with some layering I think you could get a really dramatic look. 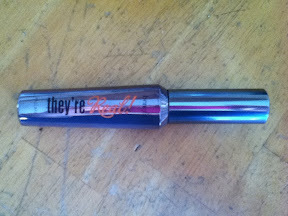 I'll be sticking with this mascara! 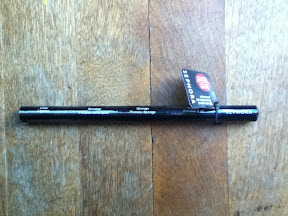 While I was waiting in line, I noticed Sephora was offering up these eyeshadow brush wands. Each wand has four brushes, which connect with magnets. You get a crease, smudge, sponge and liner, so all the basics. 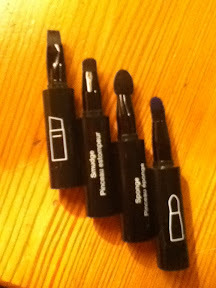 The brushes are nice and soft, the usual Sephora makeup brush in tiny form really. Very convenient for in your cosmetics bag for touch-ups or traveling. So that's part one of my latest Sephora haul. Urban Decay and a couple of scent reviews coming up in the next week!